LINA, formerly known as WellnessWorks at Trinity Centre, has recently rebranded to embody a vision for expansion throughout NYC and the United States. 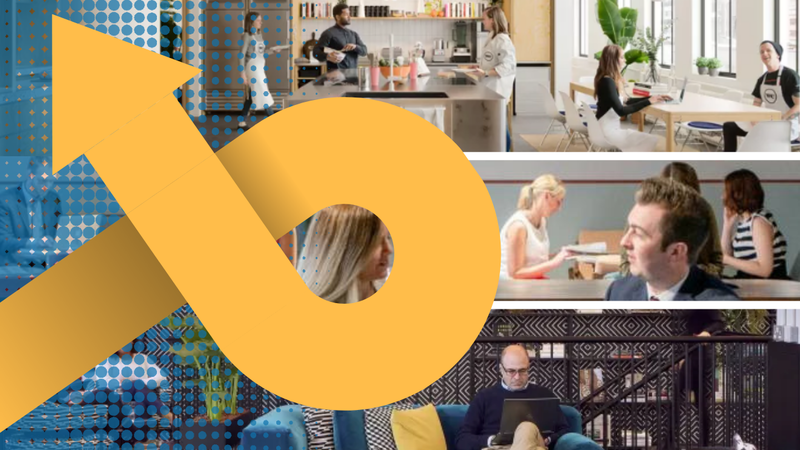 Co-founders Rachel and Vicrum Puri, the husband-and-wife team who modernized shared workspaces with their BrooklynWorks at 159, wanted the moniker of their medical coworking brand to reflect their growing network of medical and wellness professionals. With a new space opening in 2019 and plans to infiltrate other major US cities in the next five years, LINA continues to offer flexible memberships and full-service amenities to allow their practitioners to treat better, providing members all the function and presentation of an independent practice, without the hassle. 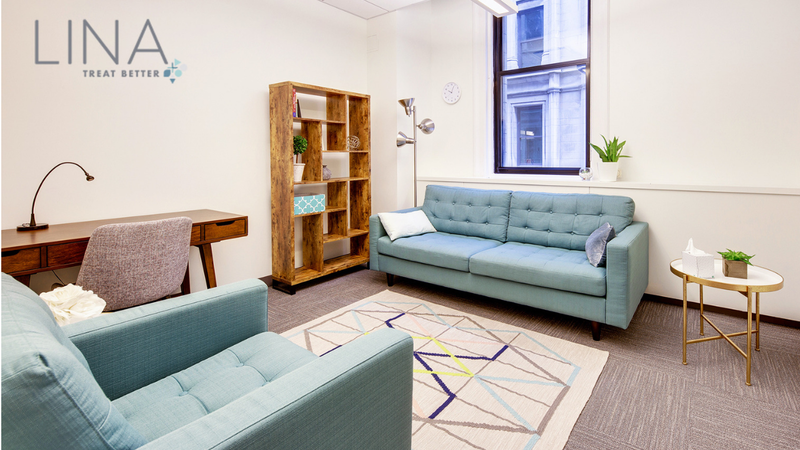 For the past year, LINA, a rapidly-expanding medical coworking brand operating in the historic Trinity Centre building, has allowed for over 100 independent practitioners including doctors, mental health and wellness professionals to open and operate their own practice within Manhattan’s Financial District, complete with a modern, stylish waiting room for patients and full-service office amenities. Formerly known as WellnessWorks at Trinity Centre, the first-of-its-kind, recently rebranded LINA FiDi, offers everything medical and wellness professionals need to treat their patients better by embodying a professional setting at a single cost-effective membership fee. Every LINA member becomes part of the exclusive network of providers with easy and direct access to fellow practitioners. Adorned with a bright, serene atmosphere and welcoming decor, LINA aims to provide everything from fully equipped medical exam suites to administrative services to allow their members to focus on treating their patients. 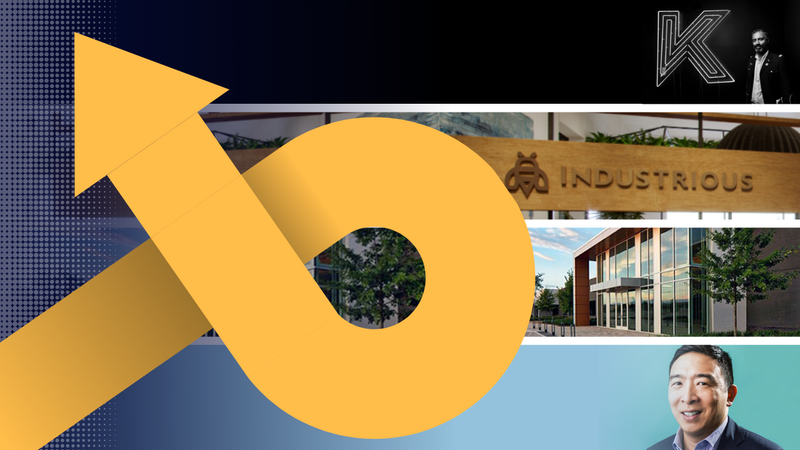 Along with opt-in options like marketing, mail handling, private storage, medical fridges and linen services, LINA offers conference rooms and common areas for group therapy or specialty events. LINA provides a private members lounge stocked with premium snacks and beverages, while their office reception area boasts always-available coffee, tea and filtered water to visiting patients. Members can offer their patients office hours outside typical business hours with LINA’s automatic check-in systems for off-hour appointments. Members have cited that LINA’s peaceful atmosphere has transformed their patients’ medical experience.